To be released on cassette and digitally on 11/2/18. C46 – light blue tape with black imprints. Pro-dubbed at NAC. 2-sided 3-panel J-Card with artwork from HausMo Max. Samuel Ascher-Weiss makes music under the moniker Shnabubula. Principally inspired by video game music of all styles and eras, his wide catalog encompasses instances of progressive synth composition, works for piano and digital orchestra, and cybernetic jazz fusion characterized by stunning harmonic and structural sophistication. Originally issued as a digital-only album in 2011, Game Genie‘s cassette release on Hausu Mountain marks the first physical edition of Ascher-Weiss’s music. The album’s dense compositions, programmed in tracker editing software, trace serpentine paths through innumerable discrete melodic frameworks and soaring solos, bouncing over constantly fluctuating basslines and grids of meticulously calculated synthetic percussion. 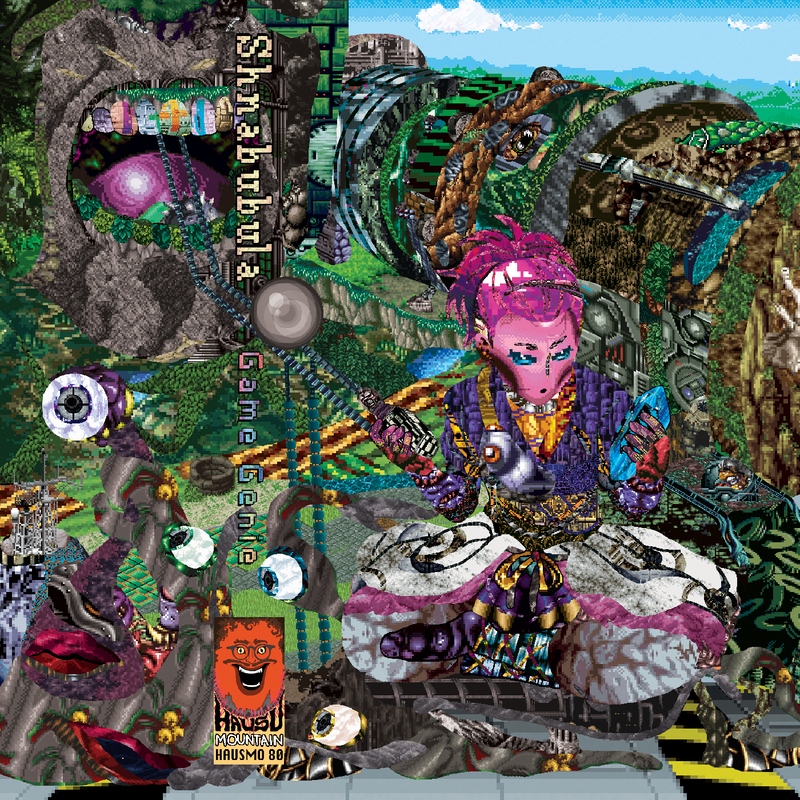 Shnabubula sources the individual tones that populate his tracks from the sample libraries of games for Super Nintendo, Sega Genesis and Megadrive, NES, and the Sharp X68000. Built from the recontextualized timbres of these legendary consoles, Game Genie plays out like a 16-bit soundtrack from an alternate reality in which the compositional styles and tonal sensibilities of composers like Nobuo Uematsu and Motoaki Takenouchi are refracted even further through the prisms of 70s fusion, prog, and kosmische music. Ascher-Weiss approaches each track as a distinct journey through one level of an imagined game cartridge that possesses supernatural sound capabilities exceeding its hardware limitations. Often starting with a preface of unadorned square-wave voices and noise-channel percussion, he introduces melodic themes that mutate, reiterate, and splinter apart as his palette evolves, passage by passage, to incorporate increasingly complex synth arrangements that plant breakneck cascades of chromatic lead lines against a polyphony of contrapuntal voices and cosmic washes. 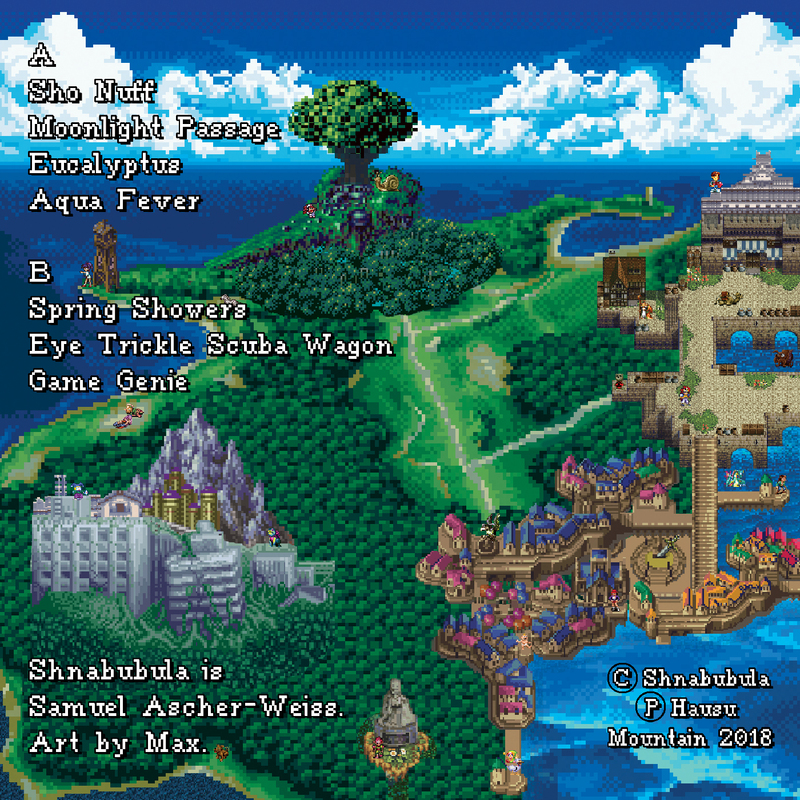 Animated by earworm melodies and on-a-dime transitions, Shnabubula‘s symphonic compositions contain enough detail to sketch out their own pixelated landscapes in the mind of the listener. However, Game Genie ultimately stands alone as a program of emotional narratives that transcend the trappings of video game nostalgia, instead honing straight in on the joy and surprise that underlie the music, of any and all genres, that continues to stick in our collective consciousness.